At last a paperback edition of this standard work on marine archaeology. Séan McGrail's study received exceptional critical acclaim when it was first published in hardback in 1987 and it is now revised and published in paperback for the first time. 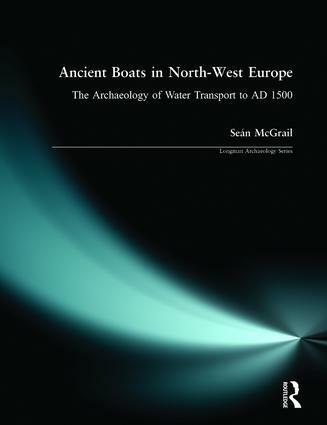 Professor McGrail provides an authoritative survey of water transport across Northern Europe from the Late Palaeolithic to the later Middle Ages, using evidence of excavations, but also documentary sources, iconographic and ethnographic evidence. In the process he answers such key questions as How were these boats built? What sort of environment were they used in? What speeds could they achieve? and how were they navigated? Sean McGrail served in the Royal navy from 1945 to 1968, the last sixteen years as a pilot in the fleet Air Arm, and qualified as a Master Marina. After reading for a BA at the University of Bristol, he became Assistant Keeper at the National Maritime Museum, Greenwich, and subsequently Chief Archaelogist and head of the museum's archaeological research centre. He moved to the University of Oxford as Professor of Maritime Archaeoogy in 1986 and since 1993 he has been Visiting Professor for the Centre for Maritime Archaeology, University of Southampton.